One Atlantic Center, also known as IBM Tower, is a skyscraper located in Midtown Atlanta. It is the third-tallest in Atlanta, reaching a height of 820 feet (250 m) with 50 stories of office space. 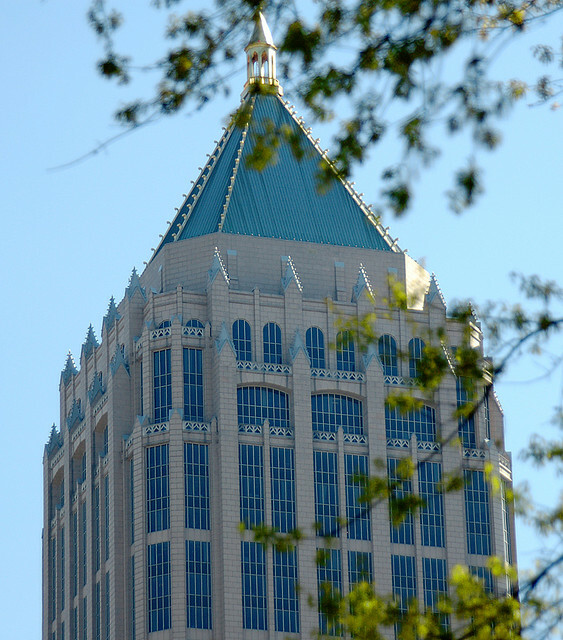 It was completed in 1987 and remained the tallest building in Atlanta until 1992, when it was surpassed by the Bank of America Plaza, which was also built in Midtown. It was also the tallest building in the southeastern U.S. at the time of completion, surpassing the Wachovia Financial Center in Miami. The building was commissioned by Prentiss Properties as a southeastern headquarters for IBM, a company responsible for many notable skyscrapers of the 1980s. Aside from introducing Atlanta to the postmodern architectural idiom of the 80s, this tower is notable for essentially creating what is now the Midtown commercial district. 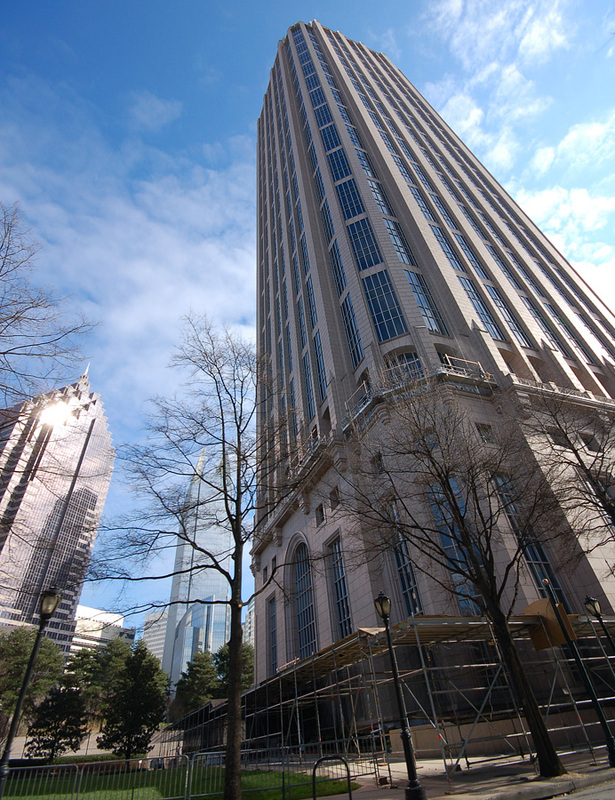 Located at the then-remote corner of 14th and West Peachtree Streets over a mile from Downtown, this building nevertheless opened nearly fully occupied and thus attracted developers to Midtown in droves. The building's exterior consists of Spanish pink granite with a copper pyramidal top and gold peak.